Thursday nights racing action at the Myrtle Beach Speedway saw five divisions race under NASCAR sanction. Whelen All-American Series Late Model Stock Cars, Coastal-Pee Dee Super Trucks, Chargers, Mini-Stocks and the Bell & Bell Vintage Car Series all saw action. Matt Cox picked-up his third straight Pole Position in the Late Models. The Loris driver was on the point during the first third of the race. Sam Yarbrough working on his second Late Model championship title is not only fastest man on the track but appears to be walking away with the points tally in 2013. A third of the way into the feature Yarbrough forged to the front and led the final laps to post win number six in the Chad McCumbee owned car. Matt Cox was able to hang for second, staying in front of third place finisher Brent Brinson. Brinson had one of his better runs of the season battling ahead of Justin Milliken who ran fourth. Brian Vause who was back at the wheel of his own car was credited with fifth. The checkered flag flew for the first time in Joe Armakovitch’s career as he won in the Charger division. Willie Grainger posedt a season high finish of second in a wounded number 9 after an early crash in the evening of racing. Wade Skipper in the car, normally, wheeled by Ed Williams was looking like the man to beat after leading early. He made a visit to the pits under yellow and gave up his track position. Skipper made a desperate attempt to get back to first and ended up third. Bryant Barnhill was fourth followed by Eric Joyner in fifth. Usual front runner Chris Throckmorton was in the hun,t until a skirmish with Skipper hurt his car and damaged the radiator, causing him to overheat. Adam Fulford won another Mini-Stock race and was on cruise control for the entire distance. Earl Farmer came back from a spin after he and Michael McKinnon tangled . Then both came from the back to run second and third. Randy Hewett and John Repak were credited with fourth and fifth on the scorecard. The Coastal-Pee Dee Super Trucks saw a shuffle in the race winner and point standings as front running Jimmy Herrington was sidelined with mechanical problems. Then Darlington’s Hal Goodson, took advantage the misfortune of Herrington, which allowed him to take the Myrtle Beach Speedway’s point lead in the truck series. Goodson was on the pole and from the green to the checkers led every lap, to post the win. Jamie Weatherford fought his way from mid-pack at the start to run second in a truck fielded by Terry Moore. Clay Thomas was up on the wheel of his truck running third. Jake VunCannon took fourth and the winners son Hayes Goodson was fifth on the scoreboard. The Bell and Bell Vintage Series put on another exhibition of racing with the cars of yesterday in a short sprint race. Jeremy Cumbee paced the field under the checkered flag. These cars will be added to several nights of racing in the future as it continues to attract the nostalgic crowd of drivers recalling a by gone era of racing. Next week the “Dash for Cash” will be the big features of the night with twin 50 lap Late Model races and two more invitations to the big show, Myrtle Beach 400 in November. The track is looking to have full field of cars for the event. Jamie Weatherford, Justin Milliken, Trey Marcham, Sam Yarbrough have already won their invites. Mini-Stocks and Chargers will fill out the remainder of the racing card next Thursday. Pepsi-Cola retailers are again giving out special coupons that will allow a free admission for grand stands for spectators with a paid $15.00 parking fee. The parking fee is per car and the free admission is for all the fans in the car. 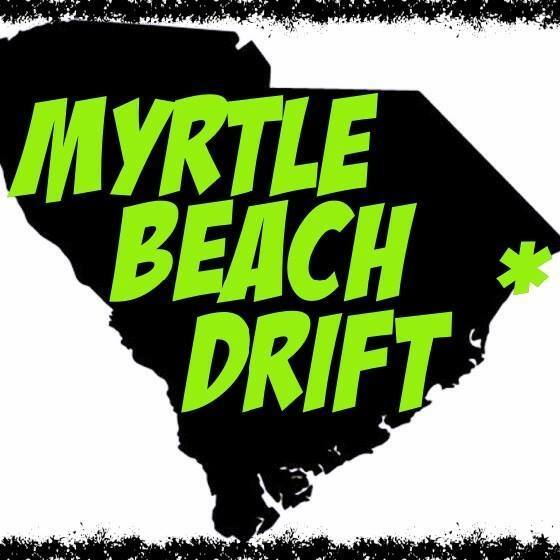 Gates open at 6:00 PM race time is 8:00 PM, the track is located on Highway 501 next to the Tanger Outlet, approximately, four miles from downtown Myrtle Beach. Myrtle Beach Speedway and PEPSI partner to deliver “Free” Weekly Racing tickets to Fans at the Iconic NASCAR track.